The Golden Joystick Awards traditionally honour games released in the last 12 months. This made sense when the show began some (gulp) 35 years ago, but games increasingly work as services with vibrant communities still playing months – or decades – after the title's initial release. Hence the introduction of the new Still Playing category at the 35th Golden Joystick Awards Presented with Omen by HP, which pits venerable MMOs against the biggest games of the last few months. Can the sheer staying power of strategy games like World of Tanks triumph over the rising star of newcomers like Rocket League? That's up to you. The brand-new-for-2017 Still Playing category acknowledges that games aren’t just the product of a single year. Many players have a game that has become part of their lives, whether it’s something they dip into a few times a week or an all-encompassing hobby that has introduced them to new friends and new aspects of their hobby. These games might not make the headlines every week, but they’re just as important as the latest triple-A blockbusters. The venerable space MMO EVE Online will soon be celebrating its 15th anniversary. Despite a steep learning curve, EVE has fostered a dedicated community and remains uniquely capable of generating incredible stories of political cunning, espionage, and military brilliance. This is the rare example of a game where the actions of its players are often more newsworthy than the actions of its developer: the theft of a $20,000-plus space station and all its contents being just one recent example of a trend that goes back decades. At the other end of the MMO spectrum, The Elder Scrolls Online recently celebrated the launch of its most substantial expansion, Morrowind. TESO has steadily grown into one of the most well-rounded fantasy MMOs around, blending modern multiplayer design with the nostalgic pull of the Elder Scrolls setting. It might be years until we get another singleplayer excursion in Tamriel, but TESO is steadily building out the most comprehensive vision of that world seen in a game. Final Fantasy XIV is another MMO that has gone from strength to strength over the last couple of years. Recently bolstered by the Stormblood expansion, the adventuring heart of Square Enix's MMO is surrounded by loads of brilliant community-building features, from housing to Chocobo racing and more besides. It’s no surprise that Blizzard feature heavily in the Still Playing shortlist. Overwatch swept multiple categories at the 2016 Golden Joystick Awards, reflecting its rapid rise to the top of not only the shooter genre but games culture more broadly. After another year of heroes, updates, comics and animated shorts, its star continues to rise. Diablo III has had a good year too, with the release of its first ‘mini-expansion’ in the form of the Necromancer class. After tentative start back in 2011, Blizzard’s loot-‘em-up has continually reinvented itself - including as a fantastic console game with the release of the PS4 version, a departure for what is traditionally thought of as a PC stalwart. Blizzard has also continued to push the boat out with Hearthstone, introducing exciting new mechanics with each of the game’s regular expansions. They’ve come up with some inventive events, too, including the recent massively-multiplayer assault on the Lich King and the latest community-strengthening Halloween event. A few games in the Still Playing category are so ubiquitous that they might be the only game you play. FIFA 17 is the perfect example: a fixture of any football-loving household with a TV, the reach of EA’s sports sim extends from couch multiplayer to esports to the YouTube-conquering power of FIFA Ultimate Team. It’s important not to forget the competition, however. PES 2017 has its own passionate advocates, with its smart and straightforward controls placing emphasis on player judgement and skill. Konami's focus on the core game of football is what sets PES 2017 aside. Minecraft’s journey from indie darling to Microsoft-owned block behemoth is one of the most startling success stories of the last decade. Aspects of gaming from the survival genre to many of the biggest YouTubers owe some part of their existence to Mojang and the Minecraft community. This is more than a game: it’s a phenomenon, and part of the fabric of childhood for a whole generation of new gamers. In the year since its release, Niantic’s Pokémon GO has matured, growing from a smartphone crazy into an AR MMO with more to do, better events, and more exciting pocket monsters to catch. The community has matured alongside the game, too, with team allegiances forming their own personalities as time has gone on. 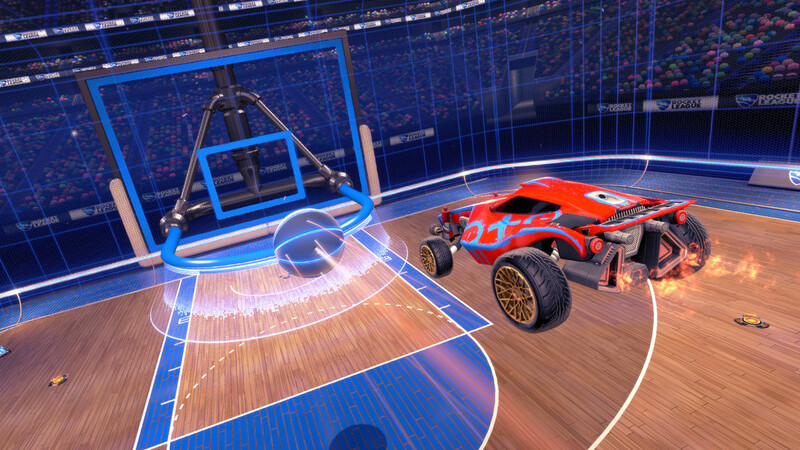 Rocket League sustains a massive community for the same reason that it was so popular when it came out: car football is just a really, really good idea. As the base game has been augmented with crossover cosmetics, modes and maps, so the scene surrounding Rocket League has been enhanced with a growing esports scene - the only place in competitive gaming where you’ll find players inviting their dads to play as emergency stand-ins. World of Tanks has likewise gone from strength to a strength this year, with a fanbase that spans both competitive gamers and serious military strategy buffs. Wargaming have fostered a community united by a common love of massive armoured vehicles with big guns on top, catering to that enthusiasm with both in-game events and updates and an extensive programme of extracurricular tank-centric activities including museum exhibits, VR experiences, and even expeditions in search of real tank history. To vote in this year's Golden Joystick Awards (and claim your free ebook worth up to £15.99), click here. You can also vote using our nifty Facebook bot, if you prefer. You've got three weeks left to make your choices - and after that, all that remains is tuning into the official Twitch livestream on November 17th to see the winners accept their awards! 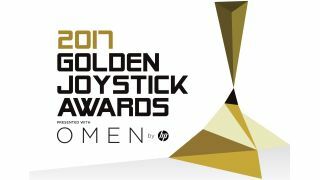 VOTE: Head here to register your vote for the Golden Joysticks 2017.